This week Talkback Challenge is an interesting one. Well, they’re all interesting really, but this one has been leading me back down Memory Lane. I imagine I don’t have your typical background for a gamer. Before we had anything video game related, my family would sometimes play board and card games. I would only play them begrudgingly, preferring instead to read book by myself or play Lego/dinosaurs with my younger brother. My parents have never been much in the way for technology adopters so our very first video game system was a ColecoVision that my dad picked up from a guy who was going to throw it away. The ColecoVision was discontinued in 1985 and it was at least 1991 (I was 6 or 7) when we got the system, so it was already dated. The console itself seemed to work fine but not all of the games did, and some of them were missing labels so it was anyone’s guess what was on them. I recall playing Frogger, Donkey Kong, and Smurfs Paint ‘n’ Play Workshop on it, while there was some wrestling game that my dad and my brother would occasionally play. But the ColecoVision didn’t really capture my interest. What did was the first family computer my parents bought shortly after. It was some IBM PC with Windows 3.1 on it. I was fascinated by the computer and kept tormenting my parents by changing the colour scheme from the default blue/grey to neon pink and green. My mom, always being the teacher, figured if I was going to play around with the computer, I might as well learn something from it. So she bought educational games such as Word Rescue, The Amazon Trail, and Treasure Cove! which came on good ol’ 3.5 inch floppies. They ran on DOS back then, so I actually knew more command line functions back then than I do now. Then came along Windows 95 and the introduction of games on CDs. Which brought a new wave of edutainment such as Lenny’s Music Toons and Putt-Putt and Fatty Bear’s Activity Pack (holy crap, they’re actually selling it on Steam now). It wasn’t until I got the Sega Game Gear as a Christmas gift that I got my first “real” games. Nothing with guns or blood of course, so the games I had were ones like Sonic the Hedgehog, Ecco the Dolphin, and Surf Ninjas (what an awful game). I never finished any of those games or even got very far in them. I imagine part of that was because the Game Gear was bulky and heavy, and required 6 AA batteries that gave it just 3-5 hours of battery life. It came with an AC adapter but that still limited the portability of the system. I also just wasn’t good at platformers. Then my brother was gifted an N64 (but he also had to share of course) and among other games, the famous Legend of Zelda: Ocarina of Time. This was my first experience with an RPG and likely the first 3D game I had ever played. I was hooked on it. While I never was able to beat it (damn Water Temple), I was enthralled by the story and spent many an hour wandering the world of Hyrule. 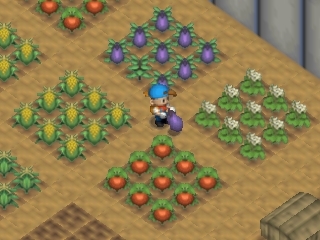 If that wasn’t enough, I also sunk a lot of time into playing Harvest Moon 64, which likely lead to my love of simulation games. This is the first game that I ever remember completing, insofar as I built all the buildings and won all the competitions. 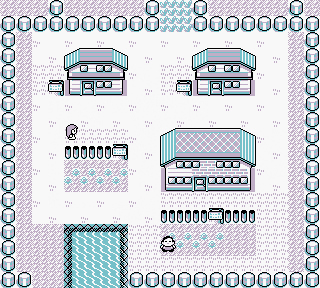 It was probably here when my parents began scolding me for playing too much video games and shuffling me outdoors to get me out of the house. We only had a few multiplayer games including Mario Kart 64 and Goldeneye 007. I imagine my parents must have regretted buying us Goldeneye when one of my friends, my brother, and I were making a ruckus at 2am because my friend exploded me with a rocket launcher and the match became a friendly-fire free-for-all. This didn’t stop them from buying my brother a Game Boy Color and both Pokemon Blue and Red. We agreed that he would play Blue and I would play Red so we didn’t overwrite each other’s saves and eventually I actually finished Red. He later got Pokemon Yellow as well but my interest in it petered out quickly since it was very similar to Red. Meanwhile on the PC side of things, there were real-time strategy games such as Age of Empires, Pharaoh, Stronghold, and Age of Mythology. While I enjoyed the combat, it was the building and resource management that I liked the most. A lot of the time, I would pick the largest map size under custom games and just build and explore until there was no more room or resources left. I hadn’t forgotten how much I had enjoyed Ocarina of Time so I continued my RPG experience with a PC game called Siege of Avalon. It had some really cool features that I haven’t seen in many games to this day. One was that when you looted an enemy, the items it showed him wearing were the actual items in his inventory. If he was wearing a gold suit of armor, you could loot a gold suit of armor. Also, when you removed an item from the corpse, the item would disappear from the body on the ground. So you could literally strip a guy down to his underwear (or loincloths in this game). You could also layer clothing and armor on your character just as you would in real life. So you could have a metal breastplate over top of some padded leather over top of a tunic. Maybe it’s my inclination towards realism but I’m quite fond of both of these systems and would love to see them implemented in more games. We somehow managed to get a copy of Doom II that someone burned for us, and I only played it when my parents weren’t around. One outlier on the PC was NHL Powerplay ’98, the only sports game I ever have owned and probably will ever own. It had its own sort of ridiculousness that was a lot of fun. Not only could you create your own team from the best players in the league, but you could also create new players and boost their stats very high. This resulted in me creating an uber team that would make mincemeat of other teams. It wasn’t unusual for my games to end with scores like 25-1 in my favor. The last “family” console we had was the GameCube. 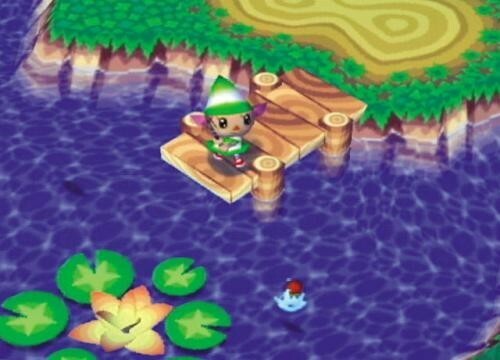 My favorite game on it was Animal Crossing, a sim that introduced me to the concept of an open-ended gameplay. I liked how besides the “quests” to upgrade your house, I was free to do whatever I wanted. I spent a lot of time digging up fossils and paintings and fishing up rare fish to fill the town’s museum. I also enjoyed decorating my house the way I liked and filling it was things I had found or bought. Super Smash Bros. Melee was the multiplayer game of choice. I was never very good at it but my favorite characters were Samus, Kirby, and Link. I think if I could have played Sheik as a separate character, she would have been added to that list. A couple years later when I went off to university, my parents bought me a laptop for my studies. 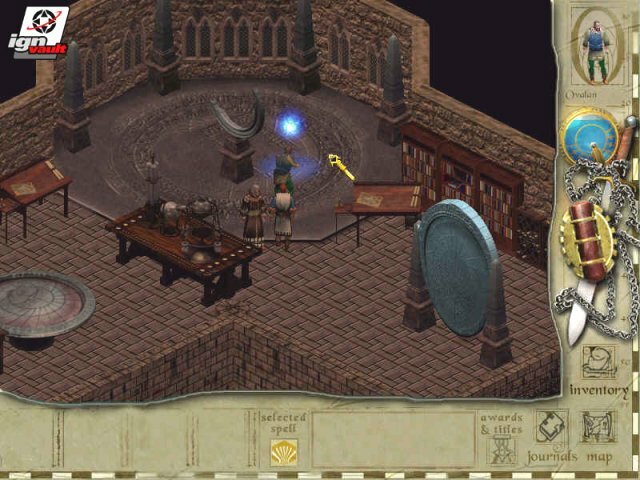 It was soon after that when I found Neverwinter Nights and as I mentioned previously, I found it to be utterly amazing. Living in a dorm and having no parents around to tell me I was on the computer too much, I would spend entire days playing it and having the time of my life. And not long after that did I start getting into MMOs and eventually World of Warcraft. So what exactly made me a gamer? The answer is that I really don’t know. There’s no one spot where I can say “that was the turning point, where I became a gamer”. It was more of an evolution that took place over many years, from what began as something I would dabble in when I was bored to becoming the main hobby in my life and something that I blog about all the time. Even now, I’m still finding that my preferences are changing from year to year and I’m never entirely sure what games I’ll be playing in the coming months. Sometimes I still feel like a newbie because there are all these “classic” and “must-have” games that I have never touched. But if the past has taught me anything, it’s that there’s always something fun and interesting, whether old and undiscovered or new and uncharted, and I don’t see myself getting tired of exploring any time soon. What a lovely stroll down memory lane. Did you get the connector cord to be able to trade pokemon? But a lot of those times one of us would hover over the screen while the other played. So things worked out for a while that way.